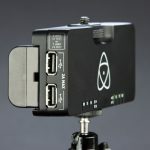 Fresh off their win of the NAB ACE (Awesome Cool Exhibit) Award for their 4K dome booth, we spoke with Atomos CEO Jeromy Young about their recent “bare bones” versions of their popular recorders, as well as the release of their Power Station accessory. 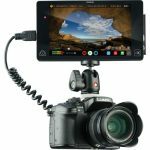 The Atomos Shogun 4K HDMI/12G-SDI Recorder and 7″ Monitor combines a color-calibrated 1920 x 1200 resolution display with 4K video recording and edit-ready codecs. 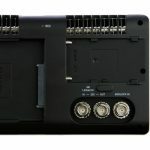 The Shogun utilizes 4K HDMI and 12G-SDI inputs to record clean output signals at resolutions up to UHD 4K (3840 x 2160) at 23.98, 24, 25, 29.97, and 30p, as well as Full HD (1920 x 1080) video up to 120 fps when used with capable cameras. The Shogun records 10-bit, 4:2:2 UHD 4K and HD video to Apple ProRes HQ, 422, or LT formats. 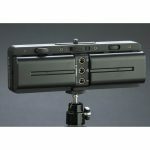 It can also record HD video using Avid’s DNxHD format and UHD 4K video using Avid’s DNxHR. 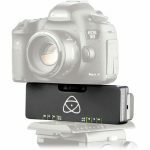 Video is recorded to single or raided 2.5″ HDD and SDDs for fast and reliable write speeds. 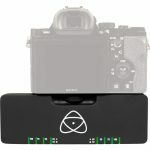 Atomos.Videogram.com is a portal for videographers who use Atomos monitor recorders and products to produce professional level video. 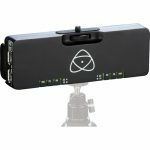 This portal allows video publishers of the Atomos community to showcase their work. 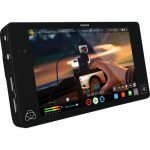 Atomos sits at the centre of the movie making process, developing creative weapons that appeal to cinematographers and post production professionals alike by helping them realise their creative vision quicker, with less money and in higher quality. 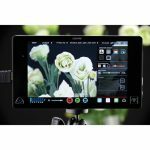 Our touchscreen tools sit on top of the world’s leading cameras, combining multiple necessary devices (external monitor, capture card, playback deck and cut edit suite) into a single affordable tool.